One Million in Two Weeks with InstaForex! InstaForex always provides you with the latest updates on international market events as well as company’s news. Today we would like to tell you about an exceptional situation. Despite its originality, it demonstrates the unique opportunities you can get on exchange market. Recently, one of our clients Akhmad Arief made the daydream of millions of traders real. After two weeks of active trading, he managed to increase his start-up capital up to $1,000,000! 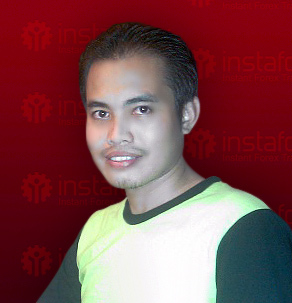 This story began when Akhmad opened his $1,000 trading account with InstaForex in the beginning of July. 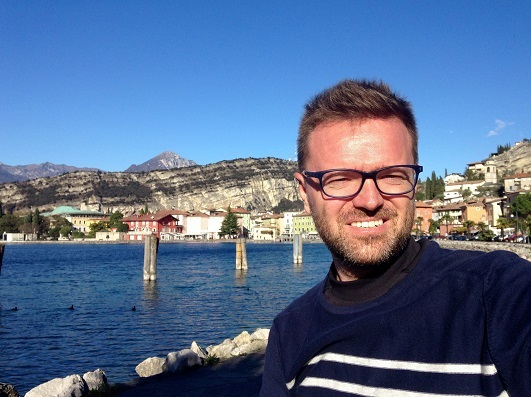 During two weeks he was trading such currency pairs as GBP/USD and EUR/USD. Nobody expected that he could become a millionaire by the middle of the month using risk strategy! «We have never seen such trading before and will hardly see soon. Even in conversion to the working days the yield was 100% per day during 10 days in a row. The profit volume is astonishing as well as the length of such win-win and risk strategy as the client used all the money on his account for the next deal. But every time lady luck was on his side,”- Aleksey Badjyanov says, representative of the Dealing Department. The chart shows the balance of #2065757 live trading account. Within the first two weeks of July, the account holder earned over one million US dollars with the initial deposit slightly more than one thousand US dollars. Eventually, the account balance was running $1162092.42. The second half of July appeared to be far less successful for the customer: he lost all his profit. Having earned $1,000,000, Akhmad decided not to stop. However, Forex market is known to be very unsteady due to frequent oscillations and change of trend directions. Successful deals were followed by deals opened against the trend direction which led to profit loss. Of course, foregone million disappointed the trader. However, Akhmad is not in despair and is already planning to win again. For him, as for many other traders, this situation was indicative of endless possibilities on exchange market which proved that one can make up a fortune out of modest capital! Nevertheless, it is important to benefit from the achieved results and also not to be affected by the astounding success. IFX: How long have you been working on Forex? AA: About 5 years, starting from 2007 until now. Before, I used another platform with another trading system (different from MT4) that limited me to less money I could earn. Then my friend recommended me InstaForex that used MT4, so I can trade higher trading volumes. IFX: It’s a dream of every trader. How did you manage to make fortune from such a small initial deposit? AA: Depends on the graf (high-recommended to sell, low-recommended to buy), besides, I used Forex trading signal, RSI, PPO, stochastic, technical analysis, and future fundamental analysis. IFX: What currency pairs have you traded? AA: My favorite are EURUSD, GBPUSD and AUDUSD. IFX: Why have you chosen them in particular? AA: For me, fundamental points of these currencies are easier to read and forecast..
IFX: What leverage have you chosen for trade? AA: I start with 1:200. And I will change this parameter if I need in the Client Cabinet. This is a very attractive feature of InstaForex. IFX: Did you plan to earn such a huge amount when started trading? IFX: You made a dream of a million traders come true, what do you feel after losing it? AA: Really really frustrated… I was not in front of my PC when it happened. I was engaged in outside work during that time… so I couldn’t close my open position. IFX: Do you plan to repeat it and get a million back? IFX: If you succeed to make a million again, what will you spend it for? AA: Clear all my loan, buy a new house, new car, do other investment and some charity’s work. IFX: What in your opinion helps traders earn on Forex: their skills or good luck? AA: Skills are very important, as a trader, a lot of new traders, should learn some basics, such as indicators, patterns, technical analysis, and fundamental analysis, but good of luck not all traders get it. IFX: Do you think your profit was a result of your hard work or just an accident? AA: I’ve 5 years experience as a trader. It is hard to become rich with small initial deposit, but if you’ve a lot of money, let’s say USD100,000 and more, you can rapidly earn money in short term..believe it! IFX: What will you advise the beginning traders? AA: For new trader, please learn some basics, follow your leader, ask them why, why and why and most important is gain experience in trading. Competent active trading and compliance with you trading strategy make it possible for every InstaForex trader to reach the most cherished objective and add a new name to the list of the most successful traders. Good luck in trading with InstaForex! The material is prepared by InstaForex PR Department with the consent of the owner of the trading account № 2065757 Akhmad Arief. In October, in the terms of ShowFx Asia in Singapore there will be a video interview with the trader which will be published on GC InstaForex resources.